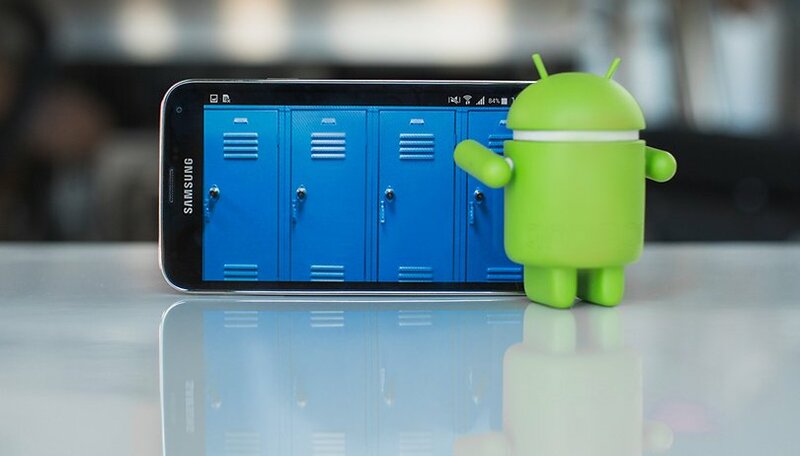 Backups for your Android are indispensable. There's nothing worse than losing everything on your phone or computer and realizing you never backed up your precious smartphone data, contacts photo albums, documents or even text messages. In this article, we'll share the best ways to back up your phone. How do I back up my Apps? How do I transfer my backups to a new device? Toggle back up to Google Drive on if it isn't already. All of this will be associated with your Google account, and you can set this to automatically restore when you re-install an app. Actually, the above mentioned Google backups include your contacts so don't worry. Unless... well, some manufacturers or carriers provide their own interfaces for organizing your contacts, and these don't necessarily sync with Google's Contacts system by default. Unless you're completely dedicated to one manufacturer or carrier, this isn't the best situation. If your data is set to sync to Verizon's database, or your SIM card, instead of Google, for example, you'll be out of luck if you switch to a non-Verizon phone later on, or if you lose your SIM card. To avoid this situation, check your contact apps settings and make sure it's not set to back up to anywhere else, and to go Settings > Backup as described above and make sure it is toggled on. You never know when you might accidentally delete something valuable. Backing up your data, therefore, is absolutely essential, and I'm sure many of you have learned the hard way. It's not only when you lose your phone. Performing updates can sometimes cause your data to be lost. A simple way to ensure your data is backed up is to use MobiKin Assistant for Android, which exports everything including contacts, text messages, apps, photos, music, videos and more in their original format and quality. Next, follow the steps and you'll soon have your data backed up safely, and even better, it'll free up some space. Mobikin Assistant works with almost all Android Phones, including recent flagships like the Huawei Mate 20 Pro or Samsung Galaxy S9. If you don't feel like trusting the job to 3rd party software, there's always the DIY method. Power users are advised to always do a backup before a root or before flashing your ROM. The reason is simple: some manipulations require a factory reset and therefore erase your data, so it is better to have put them elsewhere to be able to restore them. Open a Windows Explorer window and navigate to your phone. Here you will see a bunch of folders including photos, videos, music and documents. Go into each folder and copy/paste the stuff you want to save onto your computer for safekeeping. This is a pretty handy thing to do even if you have other backup solutions at hand, because there's no such thing as too many backups. If you want to retrieve it at a later date then you'll need to get back on your PC. If your phone is rooted then there is no better backup solution than Titanium Backup. Titanium Backup lets you back up absolutely everything on your phone. The complete backup can be restored at any time and you can set up scheduled backups so you have a regular snapshot of your Android phone's contents. Backups can be performed without even closing the apps you're currently using. They can be saved as flashable zips. Titanium also lets you transfer files between the SD card and your phone with the utmost ease. Download the Titanium Backup app on your rooted Android. Start the app and grant it root privileges. You'll be asked to read some disclaimers and so on (this is a good idea). Titanium needs superuser permission in order to do full backups. You need to have USB Debugging enabled on your phone. In Titanium you'll see three tabs. One is an Overview tab with information on your device, the second is Backup/Restore where all the fun stuff takes place and the third is for scheduling regular backups. Go to the Backup and Restore tab. You'll see a list of your phone's contents along with icons that indicate whether or not they have been backed up. Triangular warning signs mean you have no backup and smiley faces are pretty self-explanatory. If you want to back up your system data or apps, tap the little document with a check mark on it at the top. This will take you to the batch actions list. Then tap Run next to whatever action you want to be completed. If you want to back up your system data tap Run next to Backup all System Data. Titanium will then go through the process of creating your backup. This may take a while. Once completed, your backup will be labeled with the date it was performed and saved. You can also create an update.zip file to be flashed through recovery if you like, or you can restore through Titanium itself. To Restore in Titanium, just go to the Batch Actions screen again and scroll down. You'll see options under the Restore setting for the actions you completed earlier: in this case, Restore all apps with data and Restore all system data. Tap Run next to the actions you want to restore. You'll then have the option to restore everything you backed up or just some sections of it. Make your choices and tap the green check mark in the top right-hand corner. As you can see, depending on the methods and type of backup, transferring files to Android can be done in different ways. In general, if you have used Titanium Backup or Helium, you should simply reinstall the application and copy the backup folder to the smartphone if it is no longer there. Always copy backups to your computer or another device outside of your smartphone. That way you are sure to be able to transfer your files later, without any unpleasant surprises. The advantage is that almost everything is automated, while the disadvantage is that the transfer is only possible to a device of the same brand. Check your smartphone model to see if such an application is available. What's your preferred backup method, and why? Let us know in the comments! I read this article and thought that the Google backup for android would back up my SMS text messages...I saw it in the article's illustration. So I did the backup, did the factory reset, now it looks like my SMS texts are gone forever. Just a warning to everyone to actually go and look to see what all was backed up before doing the actual reset. I lost a lot of important history both of work and family events. Sad times. My commiserations. Like you said, I'd also recommend to anyone backing up via Google to double check the list of 'active backups' under the 'back up now' button, and make sure everything you want is accounted for. Thank you for android backup ways, guys! Thanks for sharing this again as I can't recall the last time I backed up my devices. Good tips to follow. Time to get working on it. It can happen to anyone, anytime. Loss of phone data is often a very unpleasant thing. That's why it's helpful to make a backup copy of the stored data. I am using helium backup but it always backs up to internal storage no option for SD card I see the same thing on the photo after how to backup with helium step (4) anyone has a clue? This is really a great article. Tnx for sharing this!! I I'm lucky enough to have had the opportunity to use both these phones. They both are top notch great phones, but I personally had to purchase the one plus 3, the one plus 3 with the snapdragon CPU/gpu, was quite a bit better at running my games on max settings than the honor 8 cpu/GPU was. They were both excellent phones, the only deciding factor for me was the better performance of the snapdragon 820. The article is dead on about the battery, my one plus 3 dies in about half the time the honor 8 did. The dash charging feature helps somewhat in the not so great battery times assuming u can find a plug in for 20 minutes every so often, as far as I know there aren't any battery packs that support dash charging out yet. I use Google backup as Google is good at saving data. I also use Samsung backup service which makes it easy to transfer between samsung devices. Lastly I use SD card and SSD drive for my music / photos / documents / movies. Unless you are rooted then I don't see the point of having an additional app for backing up. It's just a waste of resources and internal storage. I recently purchased a Samsung Tab S2 and it restored all my data from Google and Samsung (my S5) including Apps/app data / bookmarks/passwords /settings /wallpaper. I have used all these apps but i prefer app backup restore transfer. it can help me to transfer data within devices too. Great info…..Have been using Easy backup an restore and its useful. So many good android backup way introduced here, it's very thankful. Backuping everything on android device is very needed it there are a lot of important files on it. Google backup works best for me but there are some more nice options to try thx.